Stock status is current as of 4/18/2019 4:47 PMET. 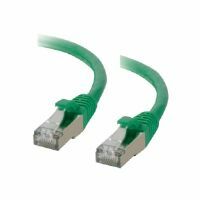 Manage efficient networking using the long Tripp Lite N002-100-BL Molded Cable. 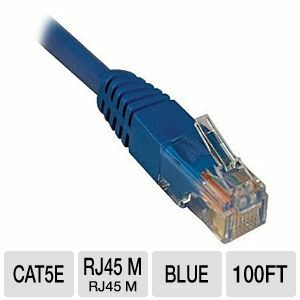 Utilize 100 feet of Cat5e wiring to accommodate performance with its two molded male RJ45 connectors that facilitate easy plug-in for your distant networking devices. 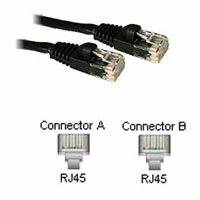 Use the Tripp Lite N002-100-BL Molded Cable for reliable data communication.